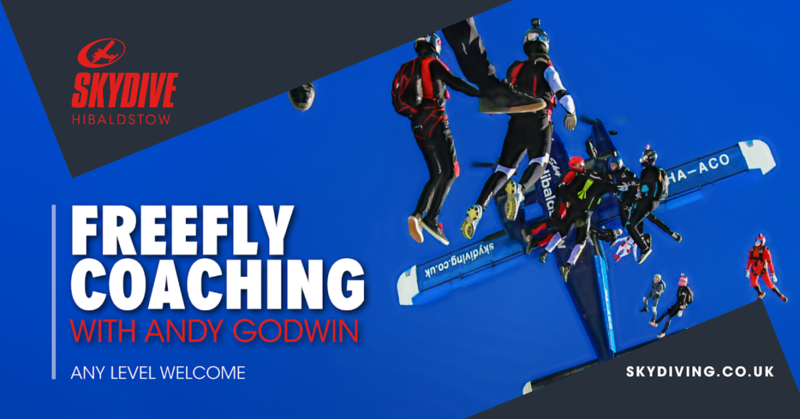 Welcome to our interview with Andy Godwin who returns to Skydive Hibaldstow for his 2nd year as freefly resident. Find out what makes him tick, some of his many achievements and what plans he has for you! How did I get into skydiving in the first place you may ask and where and when did I make my first jump? 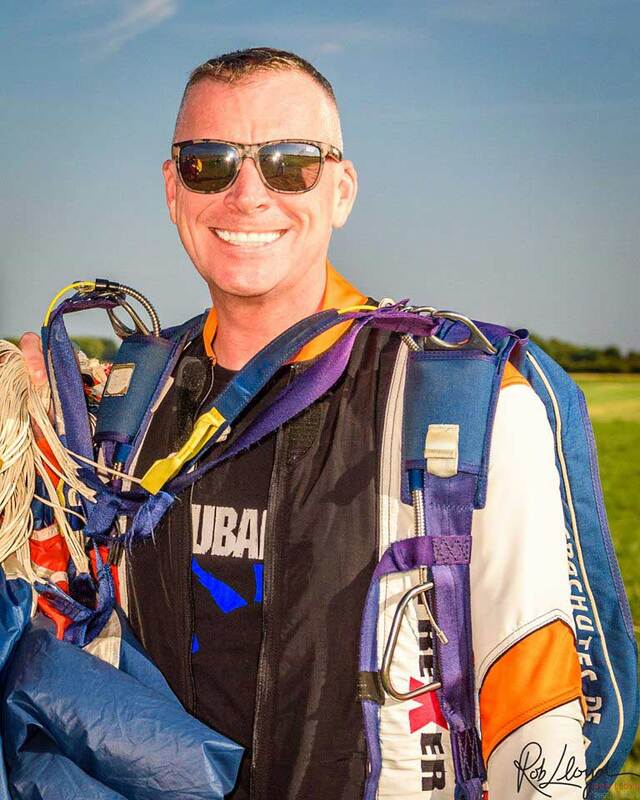 I recently celebrated a milestone in skydiving when I completed my 5,000th skydive. 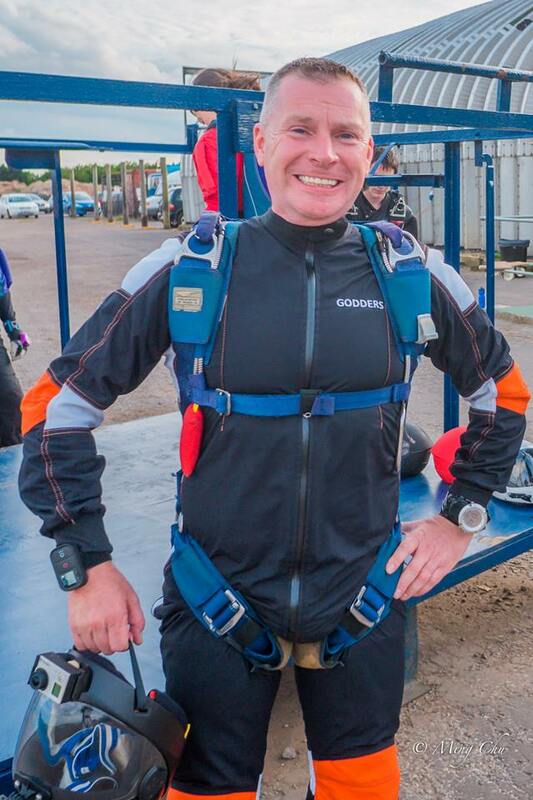 I first got into skydiving 27 years ago by mistake. I went to watch my then girlfriend do a static line jump for her work at Badminton Parachute Centre, a tiny dropzone near Bristol with rather dubious, old-fashioned looking equipment. Quite a few people decided that they did not want to do the jump so they asked if any partners would like to take up the option. I jumped at the chance (sorry had to put that in!). 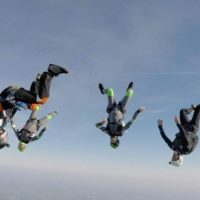 How does skydiving make me feel? To start off with, it was my biggest fear, I am scared of heights. The first time I jumped, I was sick and had a migraine from all the excitement. Over the years and thousands of jumps later, those fears have gone. I just love flying and feeling free now. 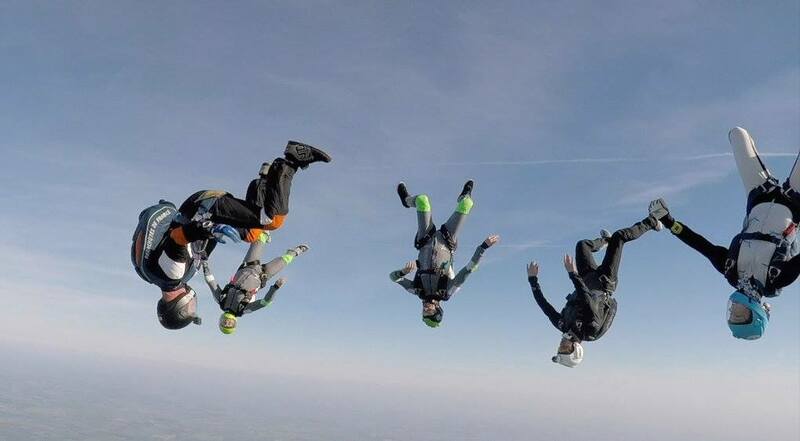 My best skydiving moment was when I attended the 2013 World Championships in Bosnia. To be part of the British contingent was amazing. Every country got together and we all paraded around the local town and were treated like celebrities. One woman even gave me her baby to walk round with! We came third in the world and second in Europe. Hearing the National Anthem being played and then receiving my medal was wonderful and made me feel very patriotic. Over the years there have been many great things that I have been lucky enough to be part of. 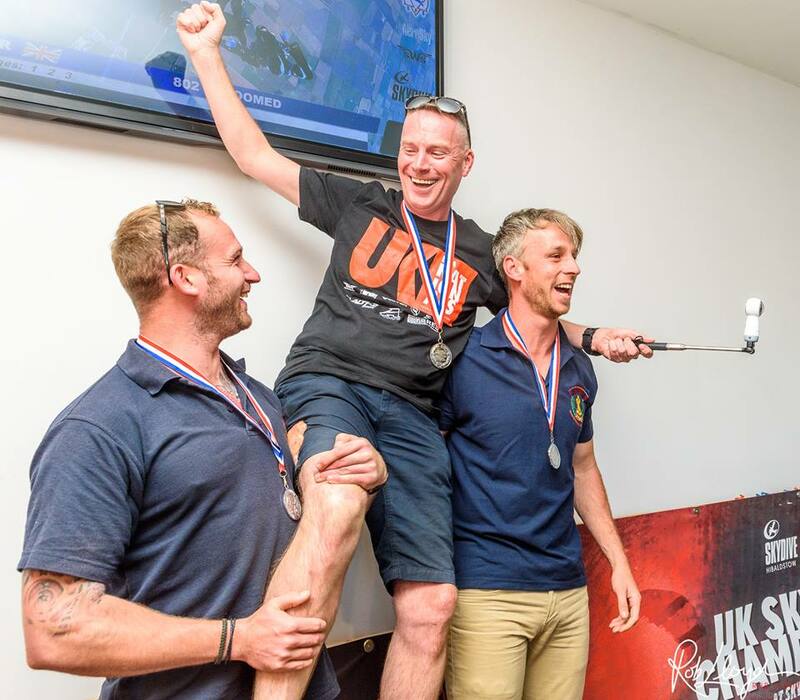 One of those has been BLESMA where each year we arrange FALL FOR THE FALLEN, a charity tandem skydive for injured servicemen on an epic scale with hundreds of people jumping on one day to raise money. Photo credits: Ming Chu, Rob Lloyd and Andy Godwin. 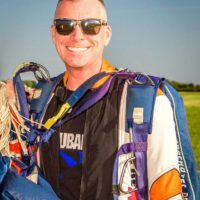 Has there been anyone or anything who have been a big influence on my skydiving career? Well working at iFLY, was had a huge influence. 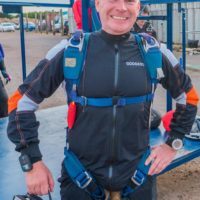 I was an ordinary skydiver before I started there, but suddenly found myself in the unique position of being able to practise frequently and efficiently with rapid results. This gave me the stimulus and the ability to get into competition skydiving in a big way. How did I feel when I received your award to commemorate 5,000 jumps? I was really chuffed. The best part was that most of my friends were there to support me and cheer me on. 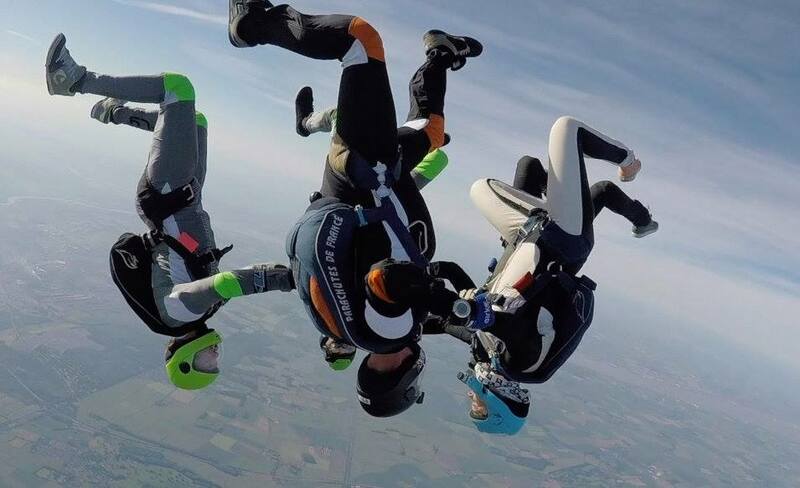 Skydiving is not just about jumping out of plane. It’s about the people we meet and the bonds we build. I think that first jump has helped define who I am and how I live my life. I live every day like it’s the last and go at it full speed. We get one chance. One go to do the best we can. My first year coaching at Hib has been brilliant, I have met many up and coming skydivers who are going to blow our minds as they get better and bypass my skills, it has been a real pleasure helping students get to where they want to be and also have so much fun. Hib is a great place to work and the whole team rock. Its great to be asked to come back and for 2019 my main aim is one on one coaching, but if there are many students wanting to do some other bits we can do that as well. 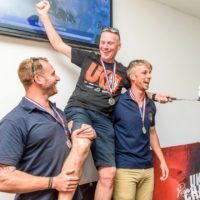 I love to bring new freeflyers into the fold, working on their skills, helping to get them their FF1 and FF2 qualifications and see what they are capable of. My coaching methodology, is to be fun, friendly and encouraging. All my coached jumps are videoed and after each jump, a detailed de-brief is done, showing them where they were awesome and what they need to work on. 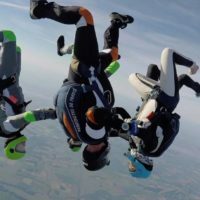 I have found that if you want to be that amazing 4-Way flyer being able to freefly, frees your mind and allows you to cope with anything out of the ordinary and with competition being so close every bit helps. I hope to see you all this season.